iPXE is an open source PXE implementation supporting protocols like HTTP, iSCSI , ATA over Ethernet (AoE) , Fibre Channel over Ethernet (FCoE). iPXE can also work with Wireless Network instead of the traditional wired network.It can fetch files from multiple network protocols, such as TFTP, NFS, HTTP or FTP as compared to the TFTP for data transfer in traditional PXE. 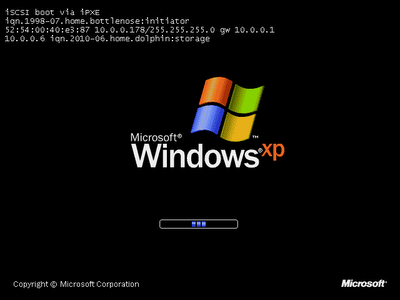 iPXE can be loaded by a computer from media like floppy disk, USB flash drive, or hard disk or as a pseudo Linux kernel or as an ELF image.